The role of a foundation’s Program Officer, though rewarding, is not an easy one. They’re not only experts in their specialized areas of funding, but are also relationship-builders and decision-makers. Skills like these can take years of on-the-job experience to master. 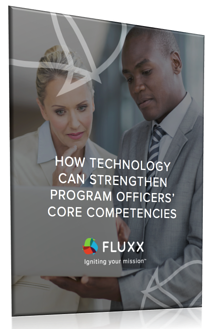 But how can Program Officers develop these skills more efficiently now? Technology offers new ways of working that improve day-to-day foundation performance and the lifelong success of grantees. Fill out the form on the right to download the whitepaper now.